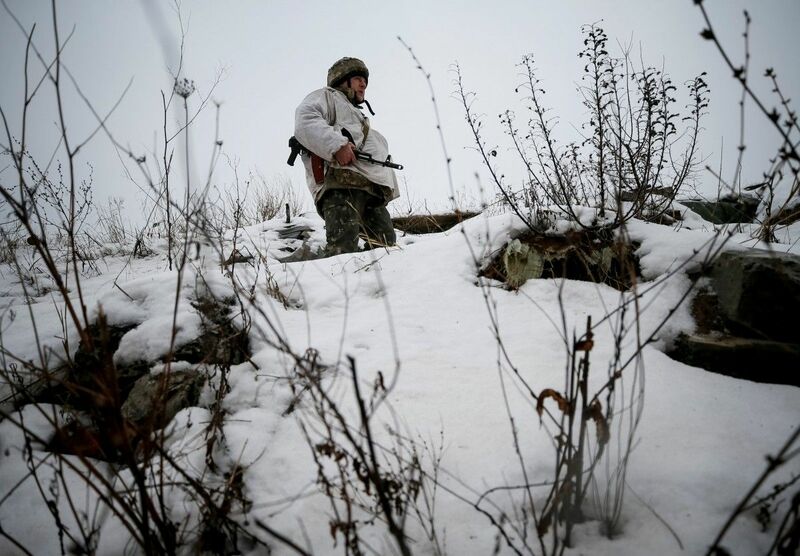 Two Ukrainian soldiers were wounded in action (WIA) as the Russian-backed militants fired 49 times on the positions of the forces of the Anti-Terrorist Operation in Donbas on Saturday, February 18, according to the press center of the ATO Headquarters. "In the Donetsk sector, the Russian-occupation forces used mortars of various calibers, grenade launches, heavy machine guns and small arms firing on the town of Avdiyivka, and the villages of Novoluhanske, Pisky, Nevelske, Troyitske, Luhanske, Opytne, and Zaitseve. A sniper was active in Novoluhanske, and a militant attack was repelled in the area of Avdiyivka at about 5:00," the ATO HQ reported as of 18.00. Read alsoMilitants shell residential areas in Avdiyivka, police show aftermath of night attacks (Photo)In the Luhansk sector, the enemy fired mortars of various calibers on the villages of Novo-Oleksandrivka and Krymske, as well as rocket-propelled grenades on the village of Stanytsia Luhanska. The occupiers also used anti-missile systems to attack Krymske. In the Mariupol sector, the militants opened fire from mortars on the villages of Pavlopil and Vodiane, and rocket-propelled grenades and small arms on Pavlopil, Hnutove, Vodiane, Shyrokyne, and Talakivka. Armored personnel carriers were used to attack Shyrokyne.